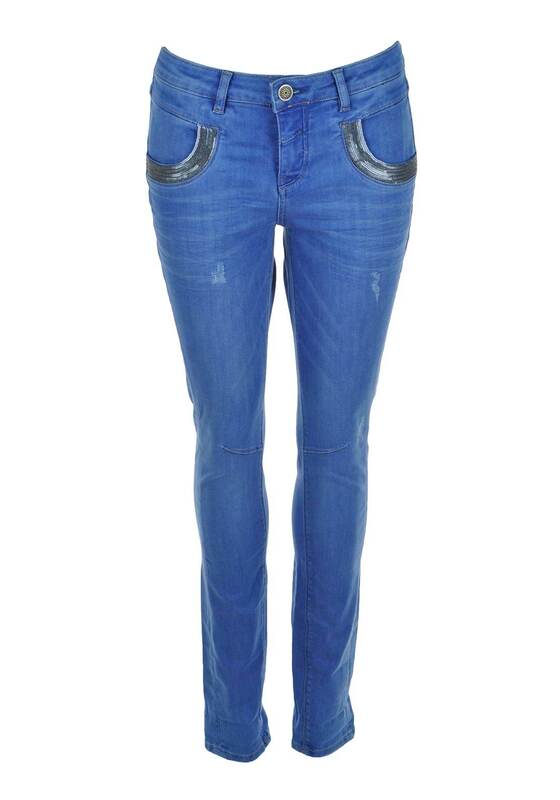 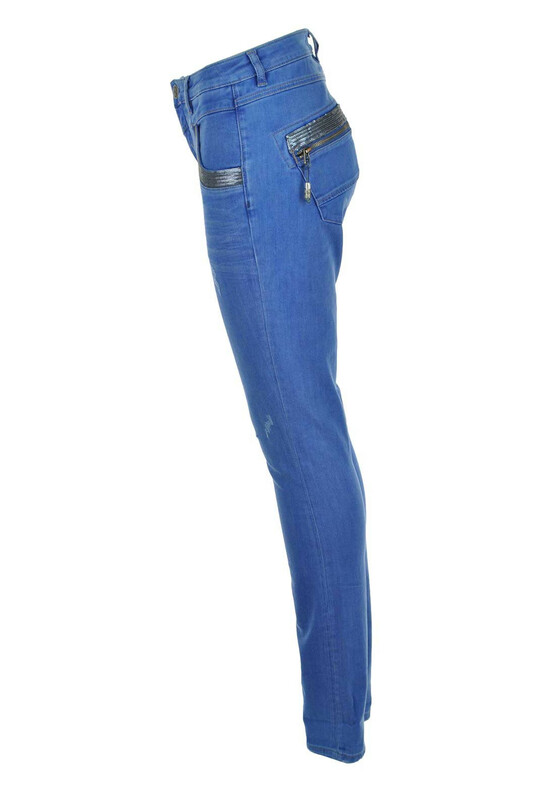 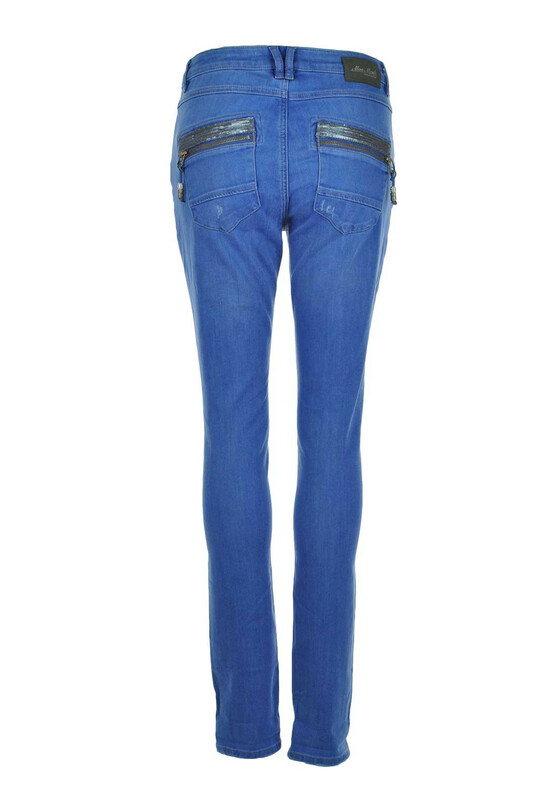 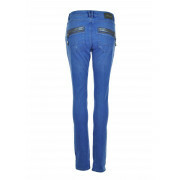 Mos Mosh presents the Naomi slim leg jeans in a stunning blue denim with a hit of glam with their sequin embellished front and zip back pockets. 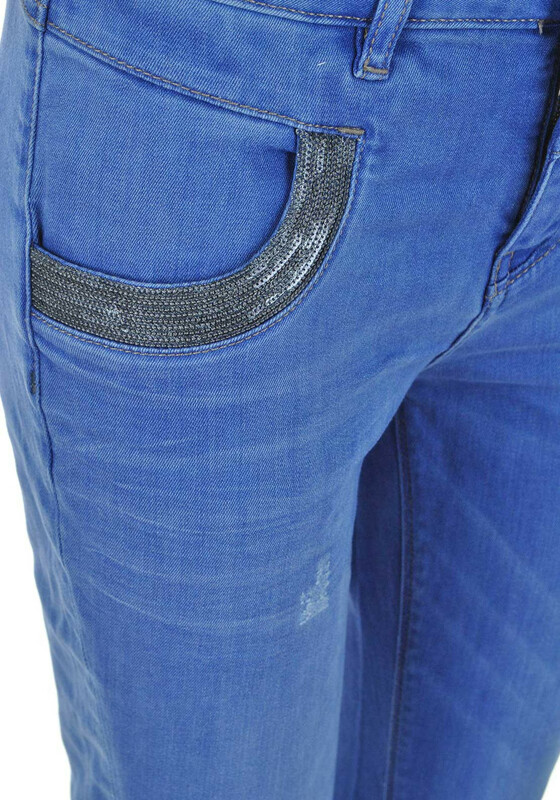 They feature a zip and button fastening, have belt loops, stylish ribbing detail and stitching detail on the knees. 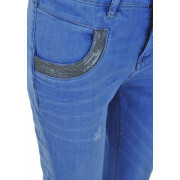 They are complete with a Mos Mosh tag on the rear waist and will look super stylish with wedges and tops.